RALEIGH (WTVD) -- A Raleigh couple is behind bars after being accused of filling a fraudulent claim with their insurance company. According to the NC Insurance Commissioner Mike Causey, Mitchell Hines, 52, and his wife, Malissia Hines, 46, of 8109 Satillo Lane, filed a report in April stating that several items were stolen from their home between March 27-31. Reports show the Hineses claimed a Rolex watch, diamond earrings, a diamond necklace, and an engagement ring set were taken. Causey said the couple filed a report with Raleigh police and then filed a claim with USAA Insurance, giving fraudulent statements regarding the stolen jewelry. However, investigators found that the Rolex, earrings, and necklace were never owned by the Hineses and the engagement ring set was never stolen. 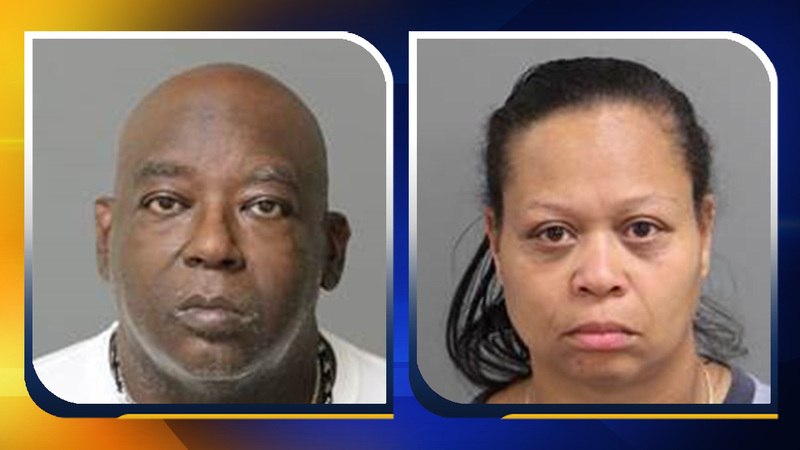 Both were charged with insurance fraud, obtaining property by false pretense, and conspiracy to obtain property by false pretense; Mitchell was charged with one additional charge of filing a false police report to the Raleigh Police Department. They are set to appear in court on Monday, November 27.